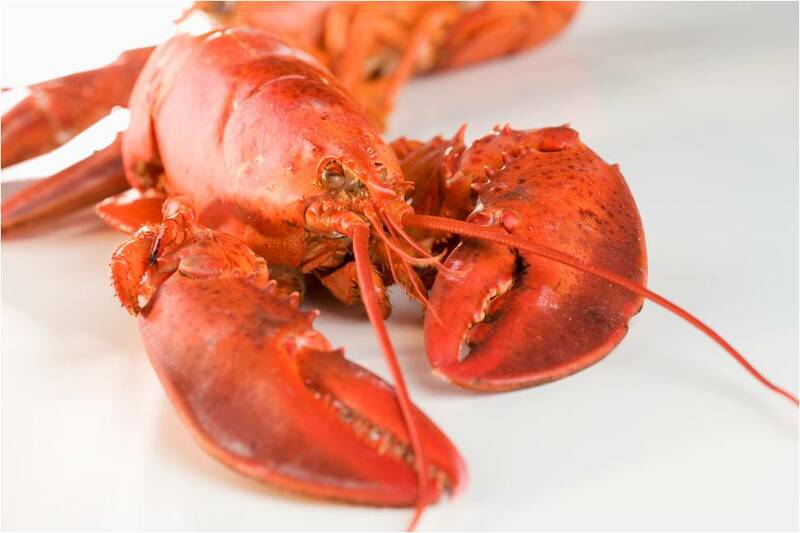 La Petite Gourmess: Did Somebody Say Lobster? Chris and I are headed to Maine for the week. But, I think there may be something wrong with me. Whenever he says the word "Maine," I hear it as "Lobster Land." Chris: We're going to Maine! Gourmess hears this as: We're going to Lobster Land! Chris: Do you need to take that many shoes to Maine? Gourmess hears this as: The lobsters won't care what shoes you're wearing in Lobster Land. Chris: I've never been to Maine, so I want to see as much of it as possible. Gourmess hears this as: I've never been to Lobster Land and I want to eat as much of it as possible. Because, I never met a lobster I didn't like. Anyway, have a great Fourth of July -- and we'll talk soon. P.S. I'm looking for this tank top while we're there. Have fun & enjoy the lobster!! !